Decorative, GFRC custom columns are included in many new buildings today; builders and homeowners alike have come to appreciate the beauty, value and performance of Stromberg GFRC custom columns. 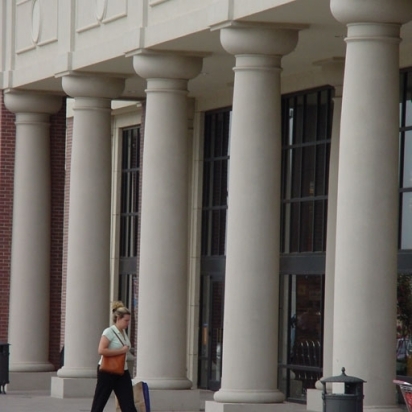 GFRC (glass fiber reinforced columns), are virtually maintenance free. GFRC is Stromberg’s most popular product; this versatile material can stand up to moisture and strong winds, and is immune to attacks from insects like carpenter ants and termites. Custom columns in glass fiber reinforced concrete are a smart choice if you want a long-lasting custom column. These GFRC columns come in a wide variety of decorative styles that will provide instant appeal. As a multinational manufacturer of superb architectural products, the architects at Stromberg have become known for quality workmanship that is second to none. They will take on your project, large or small, and carry it through to your exact specifications. Stromberg knows about architecture from contemporary residential design to sustainable building practices. They have a deep commitment to eco-friendly, sustainable building practices, and GFRC is a completely green product. Design freedom is yours with Stromberg Architectural Products; you’ll have the advantage of choosing from a wide variety of designs and styles. Whatever architecture plans you have in mind for your custom columns, Stromberg will make them a reality. Stromberg pioneered the use of GFRC and they have 30 years of experience in its use. Choose your texture; GFRC can be fashioned into almost any of them that you can imagine. Some of your choices include smooth, sandblasted, honed, brick and wood grain. Stromberg offers a full range of colors for your custom columns in GFRC, from cast in colors to stains and glazes. GFRC is durable and will stand up to harsh weather conditions like earthquakes, floods and fires. GFRC is made with minerals and naturally friendly to the environment. Glass fiber reinforced concrete can be made to have the look of natural stone, architectural precast concrete or terra cotta, among others. GFRC is rust-proof because it’s reinforced with glass fibers instead of steel. The architectural designers at Stromberg Architectural Products will partner with you from start to finish on your GFRC custom column project; they’ll make sure you get exactly what you want. Stromberg is here to help with CAD details, design assistance and all specifications. Contact them today at (903) 454-0904 and put their 30 years of experience to work for you.